A space has now become available in the daily group dog walk. If you are interested and would like to know more, please contact Karen on 07966 847153 or see the RBC Pet Care Services page. We wish Cooper and his human’s all the best in their new venture, a 2 year posting abroad in the Far East. All your pals from dog walking in Banbury will miss you Cooper. You might expect that August would be quiet for dog walking in Banbury, but nothing could be further from the truth. Folk are on holiday but many cannot take their dogs with them. 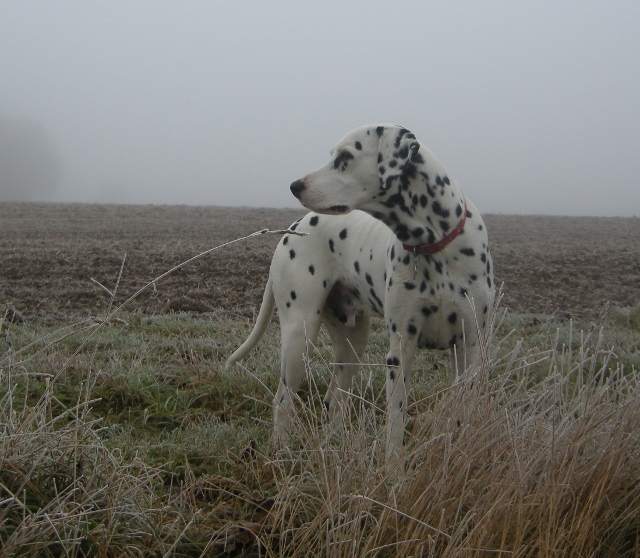 Dogs seem to enjoy there holidays as well whether they go with the owner or come to us for a short stay. Mo has settled in well and has had plenty of company with the many doggy visitors each day. I am sure he’ll be glad to get home for a rest. 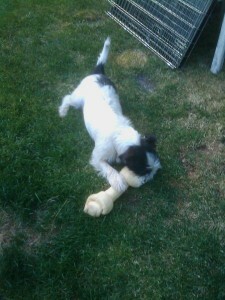 Here he is just setting into the large bone which has now half the size, these terriers have no limits. September next week already and holidays will be over, everyone will be back. More updates later when we get time. 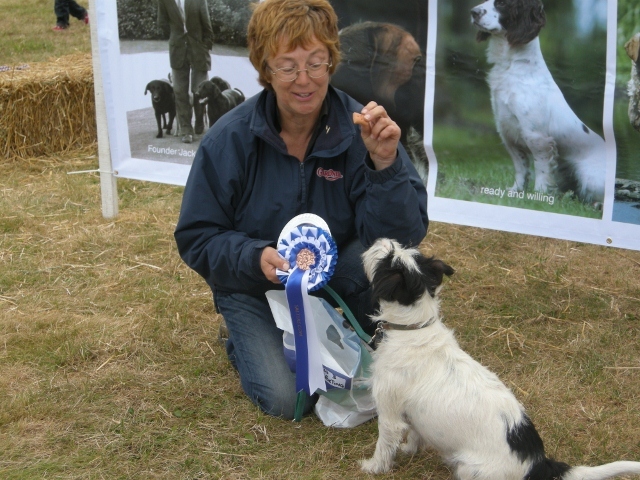 As a break from dog walking in Banbury I took Charlie and little Mo, a customer’s dog, to the Bicester and Finmere Show hoping to have some fun. It was a great family show, the old fashioned type with rides for the kids and some very posh horses. 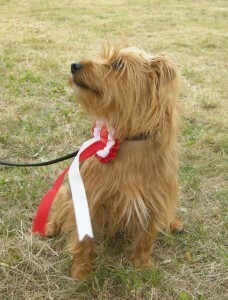 They had a little dog show in the side rings with obedience and novelty classes. 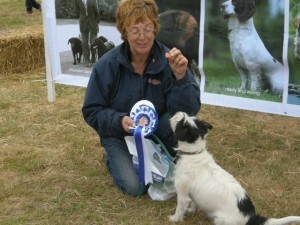 Charlie went into the Best Rescue and Terrier class, and won best terrier, clever boy! I thought I could have a bit of fun with Mo in the pet obedience class. Mo and owner had recently gained their Kennel Club Bronze with the Banbury and District Dog Training Club, so I thought we had a good chance. Imagine our surprise and delight when Mo put in a perfect round of heelwork, novice recall, control at gate and a one minute downstay! He came first. Well done Mo – and his owners who have done all the hard work. That was a hard act for Charlie to follow in the “Triers Obedience”, but we did very well against some stiff opposition and got a fourth. 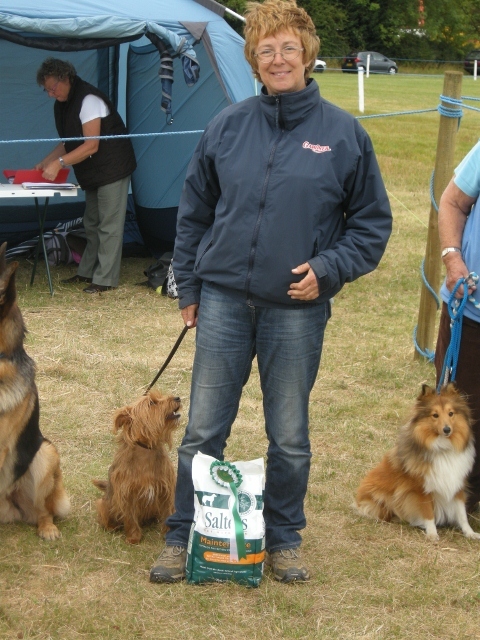 We had to do heel on and off lead, a recall and a retrieve over a jump, and two stays. A long and successful day, with two firsts and two tired dogs. You are currently browsing the Daniel Oakley blog archives for August, 2011.